Newly signed to Platform Songs publishing, Edinburgh 4-piece The 10:04's have released their debut album A Common Wealth and lead single Harlequin. The 10:04's have toured extensively up and down the country, playing with various bands from Idlewild to The Proclaimers, The Cribs to The 1975 and with Pet Shop Boys on the main stage at Edinburgh Hogmanay 'Gig In The Gardens'. Airplay to date includes BBC Introducing, Radio X, as well as stations in the states like KCRW, while TV/Syncs have included CNN, ESPN and BBC Sport. 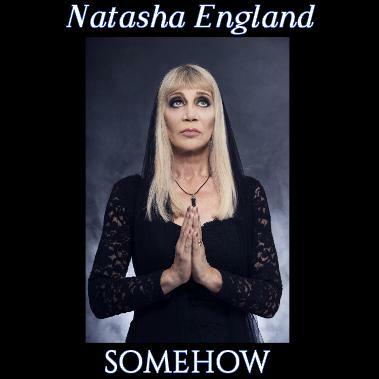 Natasha England returns with a brand new 13 track album and 2 track single Somehow. Released on August 10th 2018, the album incorporates theatrical flourishes into the mix, drawing from electronica, jazz, blues, classical and pop. From the shadowy, film-noir-like title-track opener to the fantastic energy busting finale of Hook Line And Sinker, Somehow shows off the undeniable chops of Natasha England in producing a whole, fully realised realm - one that simply stuns! The Somehow single release leads with a more contemporary mix of the album’s title track, and the second track is a more laid back edit of the album version. Natasha says: It’s been a long time coming, with numerous obstacles along the way...... But now I am relieved and excited to be able to share with you my new music - an eclectic collection of some of the many songs I’ve written over the years and up until now...... It’s a very personal and intimate album exposing genuine feelings, fears and emotions surrounding the highs and lows of most relationships and what matters most in life - love , but ultimately with an optimistic outlook.....I hope these songs and lyrics will help inspire others to be positive and rise above adversity, move on and be stronger for the experience (worked for me!). Londoner George Diaz is due to release his debut EP in 2017 which will include new Platform release Can't Say - the kind of gorgeous song that stops time around you and preserves the moment you’re in memorably. To mark our first decade, rather than just 'looking back', Platform is releasing a 15-track various artists compilation including bands, singers and songs very recently signed to our business. The album contains just under an hour of indie-pop and indie-rock music. Late Hala taps into a late summer vibe on the laid-back “Good Thing”. Reminiscent of Real Estate’s mellowed atmosphere the song possesses a loose, tender feeling to it. The honeyed chorus works wonders adding to the overall dreamy quality to the piece. 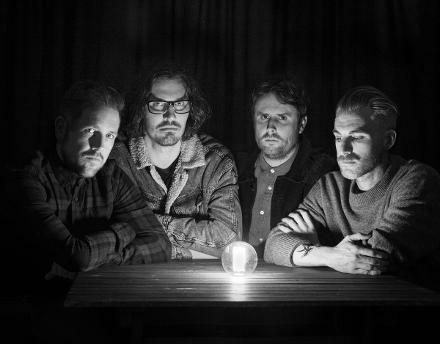 “Prehistoric Skies” shows Warm Winters updating psychedelic rock for the indie set. Rather beautiful the song simply soars into the sky, accompanied by a driving rhythm. Vocals have just the right hint of disaffection as they continue in a gorgeous haze. Energy pours out of the triumphant work of “Chemicals”. With “Chemicals” Rayne present a passionate take on the complicated work that relationships require. Simply lovely the way the song unfurls gives it a naturalistic hue. On “Safe Forever” Ross Trigwell sings straight from the heart. A sparse arrangement and tense rhythm reinforces the anxiety that defines the piece. Layer upon layer of sound slowly come together to create a sound that teems with life. A western twang informs the spaciousness of Bobo & The Demeraras’ “She”. Light on its feet, the song brings together elements of indie rock, ambient, and country into a satisfying whole. Cinematic in scope the song is quite glorious. Tapping into a rainy-day mood is the affectionate “The Home Song” where Gregory Clark’s vocals are front and centre. Poetic in tone the piece has a warmth to it. Right in the thick of it is an inviting melody of which everything revolves around. Reminiscent of Arcade Fire’s work is the majestic performance of Jon Vautier’s “Leave The City Dead”. Deeply satisfying the song taps into the spirit of simply escaping the awful mundanity that can define too much time away from nature. Offering a full-on sound, the big band feeling is all-encompassing. Light and airy is the casual work of George Diaz’s “Can’t Say”. Stripped down to the essentials the song’s effortless grace is undeniable. At times the way the song comes together gives it a bossa nova flavor. Brightly coloured is the joyous “Magical Things” by Emporium. The sound is otherworldly as the reverent approach works to Emporium’s favour. Celebrating creativity, the song’s careful narrative is compelling. The Ultra dive into a late 80's post-punk sound with “Universe In Two”. Pitch perfect, the darkened hues work to its favour. Rather mysterious in tone, the song at times feels akin to a long-lost Joy Division track. Reggae inflected grooves dominates the languid tempos of Indiana Foxx’s “Spectre”. Vocals add to the overall spaciousness of the dub-influenced bass lines which are infused with a catchy melody. Trapped in a daze the song’s spirit is strong as it slowly unfolds revealing a great plethora of intricate details. The Buddha Pests tap into an aggressive post-rock spirit on the nimble “Tanker”. Attention to detail works wonders as the drums kick into overdrive leading the way forward. Rhythms, counter-rhythms, the entire thing has a spaced-out manic feel to it. Vocals swim through the sea of sound giving a voice to the giddy chaos. Nostalgic in nature is James Blames’ “The Bad Old Days Are Back”. Gleaming guitar work adds to the rather playful mood that dominates the song. Vocals are delivered with just the right kind of emphasis as the song has a communal spirit to it. Jazzy is the sprawling work of Voodoo Rays’ “Wider Sea”. Offering an exploratory nature to their approach the song works on a deep, emotional level. The organ work is perfect as the guitar punctuates the piece in all the right places. Easily the highlight is the deadpan vocal delivery which further emphasises the overall mood of the song. Triumph reigns on Liquorice River’s “Back To the Beginning”. An 80's-pop vibe dominates the track. Everything works from the clever lyricism to the steady rhythm. 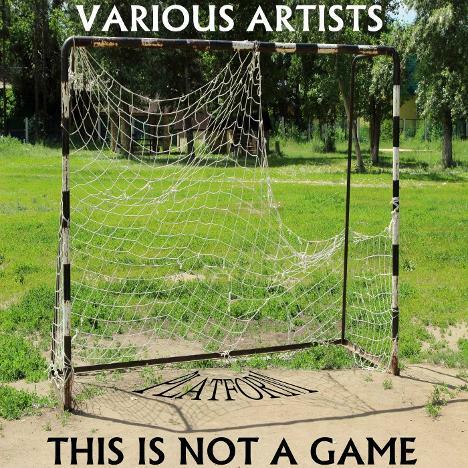 'This Is Not A Game' is released on Platform Records - December 9th 2016. Available from all download stores. 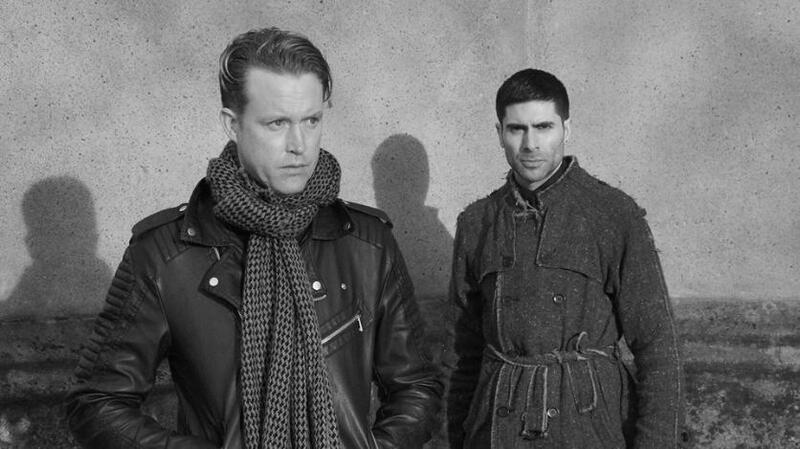 The Ultra are an atmospheric electro/rock duo comprising Joel Alexander (vocals/lyrics) and Paul Dogra (guitar/synths/programming) , formed 18 months ago in Walthamstow, East London. As a soundscape, The Ultra resonates Joel and Paul's diverse life experiences and eclectic musical influences, infused with echoes of Bowie, Depeche Mode, U2, and Radiohead. Their debut single Universe In Two (relased October 7th 2016 on Platform) is the lead song from EP 'When The World Turns Out Its Lights'. The band updates past creative explorations and influences to craft a track thick with atmosphere and sonic suspense, comprising dark melodic hooks, an organic-sounding piano line, profound lyrics and sweet background harmonies - simply mesmerizing! The Ultra are currently writing and recording at their London studio and rehearsing for live gigs. The Ultra's debut single 'Universe In Two' and EP 'When The World Turns Out Its Lights' are released on Platform Records - available at all download stores from October 7th 2016. 'Building A Dream' follows up the highly successful 2012 release 'Twilight Café - (The Demo Collection 1981-1985)' which received glowing reviews in Record Collector magazine and on Pennyblackmusic (‘‘one of the best collections of songs you will hear all year’’). This new release brings together further recordings by Susan Fassbender and Kay Russell including demos remastered from cassette as well as some vinyl tracks. In addition to this second volume of studio performances, June 17th also sees the release of a 10 track live album, recorded in 1981. Once again, these recordings are released with approval of both the Fassbender family and Kay Russell. Emporium have an eclectic collection of recordings and releases behind their back. Their music is kaleidoscopic and diverse, as they keep finding new ways to express themselves through a broad sonic palette. Originally formed in Edinburgh but now London based, composer and producer Ewan McKenzie is finalising a new Emporium mini album and working towards some live dates with a full band. New single Gloomy Shadows is a very engaging track. On one hand, the title might suggest a dark and mellow mood, whereas the song is actually pretty cheerful and uplifting. The melodies and tempo have a very 60s feel, with a slightly psychedelic pop twist. This song makes me think of The Beatles jamming with Tangerine Dream. THE OK SOCIAL CLUB are back and are set to release new album 'Baby Eat Your Heart Out' on June 1st 2015. The record will be preceded by lead single 'Walkie Talkie' which will be available online from May 4th along with the official music video airing on the bands' YouTube channel. Following "punchy and accomplished" (The Skinny) debut album 'Nothing In Common', 'Baby Eat Your Heart Out' adopts a more mature and expansive sound while staying true to bands fundamental love of melodic pop. Recorded in a series of short, exciting sessions at Chamber Studio in the bands hometown of Edinburgh, the co-produced 'Baby Eat Your Heart Out' is a considerable sonic advance from their spikey, punky debut. Songwriter and lead singer Raff Eragona says, "We wanted it to sound fresh. With our first record a lot of the songs were demoed, recorded, rerecorded and played live 100's of times, and by the time we recorded the album they had lost a lot of their charm and urgency. With this record everything was done as we went along, there was a lot of improvisation and trial and error. All of the tracking was done live and we kept most of those takes in the final mix. We then spent time in the studio experimenting with new sounds and instruments. What we've achieved is the combination of the excitement of a first demo with a fresh take on how to make pop songs in the studio"
The band have been very secretive about the new tracks, giving very little away other than short video snippets from the studio. The long established line up of Raff Eragona (Lead Vocals/Guitar), Chris Finn (Guitar/Backing Vocals), Gordy Burn (Bass) and Jordan Harvey (Drums) will lead the release with single 'Walkie Talkie' which sees the band staying true to its pop music roots. Chris says, "We had a riff and a few chords to start with and we kind of built a song around those. Even after we'd captured the bass and drums we weren't exactly sure what the finished song would sound like. It's been a special experience watching ''Walkie Talkie'' and the rest of the songs from this record, grow in to what they are now". London based CHOCKSY (Real name David James) is an eclectic artist who has set out to deliver his own take on electronic music. Blending elements as diverse as techno, new wave and indie pop, it’s all about vintage-sounding drum machines, lush synth pads and colourful melodies, with influences from the 1980's including bands like Soft Cell, Shannon and Pet Shop Boys, as well as Italian Disco and Acid House music. '' I love retro stuff, even down to the old fashioned 'one armed bandits' you find at funfairs and old seaside towns '' he says. Brand new single YOUR TOWN is a powerful track with a cool staggered 808 style groove. The bass synth lines and the vocals interact with each other brilliantly, creating really cool patterns and harmonies. In addition to the new single, Chocksy is aiming to complete an albums worth of songs this year. '' I will continue to write from what I experience in this crazy twisted city of London. I would love to have a club anthem playing in my favourite venue!'' he says. Chocksy's debut single 'Your Town' is released on Platform Records - available at all download stores from April 28th 2014. THE URCHINS sign with Platform Records. Formed in 2012, THE URCHINS are an eclectic indie rock band from the outskirts of Glasgow, consisting of two sets of brothers and a close friend. All members are born from a shared vision of creativity and a burning ambition to be the biggest band In the world. The band's gritty rock and roll tunes along with some indie acoustics give a foundation for a mesmerizing sound which almost takes you on a journey back to the 60's. Haunting and open synth melodies create intricate patterns with electric guitars and a steady, funk-inspired rhythm section. The Urchins refuse to get stuck in a box, preferring instead to experiment with their music and push their sound to new directions. You can expect anything from a jangly 60's pop hook to something more experimental and 'out-there'. Although they manage to create songs with different concepts and ideas, there is always a blueprint, a 'stamp' imprinting the band’s personality over the song. From the O2 to The Barrowlands, they have covered most of the city's top venues for up and coming acts. With a catalogue of songs which have blossomed over the years, The Urchins undoubtedly consider songwriting their main drive behind the push they're making into the guitar music scene. Debut single 'I Feel A Fall Coming' is released on Platform Records - available at all download stores from April 7th 2014. It’s been 12 months since The OK Social Club released their debut album Nothing In Common. The album yielded 3 singles - The Shape Of Things To Come, The Late 90’s and Gezellig, with their music appearing on various TV and Radio shows including Soccer AM, Sunday Brunch, Hollyoaks, BBC Radio One Introducing and ‘Single of the month’ on BBC’s The Janice Forsyth Show. The band also won Steve Lamacq’s Rebel Playlist feature. They spent most of 2013 playing around the UK and Europe including appearances at Edinburgh’s Hogmanay, and The Wickerman festival in Scotland. They also won Best Live Act at the Scottish AIternative Music Awards. They are now back in the studio recording their follow up to be released later this year. The first single to be released from their second album is Threads accompanied by b-side Made In The Shade. The new single ‘Threads’ is released on Platform Records - available at all download stores from March 17th 2014. STOP PRESS! sign to Platform Songs. STOP PRESS! are a soulful ska/indie 4 piece from London and South East England. Recently signed to Platform Songs, the band draw influence from technical indie and authentic 1st wave ska/reggae movements to create an inventive blend of contemporary summer vibes. Devoted to their inspirations, the band aim to enlighten minds and lighten moods with the music they have to offer. With a fondness for staggered patterns and upbeat rhythms, new single 'Somewhere Far' makes you think of a scenario involving early Red Hot Chili Peppers or Arctic Monkeys borrowing some gear from a classic ska band (think The Specials) and starting a spontaneous, but articulated jam session; moving from upbeat indie rock vibes to groovy and lush dub breakdowns; topped by bright and compelling female vocals. 'Somewhere Far' depicts a solid and cohesive band, dedicated to an eclectic and forward-thinking sound, refusing to get stuck in a box! 'Somewhere Far' is available from all download stores. Impact date is March 10th 2014. Natasha England's take on much-covered New Orleans song 'Iko Iko' is the most successful charting version in the UK, reaching number 10 in the summer of 1982.The track also reached number 5 in New Zealand and number 7 in Ireland. The master tape was mislaid for decades and the recording has only in recent years been made available digitally, firstly via Platform Records. With Tony Blackburn recently airplaying the track on his BBC 'Pick Of The Pops' show on June 29th, the track is once again receiving the attention it deserves! Having already caught the critics’ ear (Radio 1, Channel 4) as frontman of acclaimed Scottish alternative rock quartet Thula Borah, Lloyd James Fay embarks on his first foray into solo territory with the highly anticipated release of his beguiling debut LP, The Black River Chronicles. An introspective reflection of his formative years, childhood stories and forlorn first loves in suburban Lanarkshire’s creaking post-steel-industry suburbs, the album sees the Glaswegian suburbanite rocker turn pastoral singer-songwriter and embrace the subtler ambient and acoustic textures that pepper his band’s catalogue. Recorded in 2012 at the famous Gargleblast Studios in Hamilton with renowned engineer and producer Andy Miller, who’s production credits include albums by such Scottish luminaries as Mogwai, Arab Strap, De Rosa and Martin John Henry, 'The Black River Chronicles' is truly a testament to Fay’s prowess as one of the UK’s most gifted troubadours. A reference to the American Midwestern location of Michael Lesley’s non-fiction book Wisconsin Death Trip, which uses photographs and newspaper cuttings to highlight the harshness of life in Black River Falls during the late nineteenth century and the effects it had on the psychology of the inhabitants, the album combines the autobiographical, heart-on-his-sleeve lyrical style of Mark Kozelek (Red House Painters) with James Taylor’s calm and understated croon and minor key melodies. As you’d imagine, with such pedigree to draw inspiration from it’s difficult not to fall instantly for 'The Black River Chronicles', especially when the compositions are as pretty as lead single From The Eyewall. A classic love song that reflects on Fay’s first love and all the drama that went with it, a cascade of delicately plucked and arpeggiated chords combine with ambient brushes of distortion to provide a lulling backdrop to Fay’s atmospheric vocals and Miller’s sweet backing harmonies, making for a tender and evocative ballad. Just as poignant, the beautiful 'Joy Thief' is a sinister ode to obsessive love with intensely personal lyrics like “Break my heart/I know you want to/In the dark/My ghost will haunt you” granting the listener with an alarmingly intimate portrait of an author who’s bravely chosen to render his soul bare. Album 'The Black River Chronicles' and lead single 'From The Eyewall' are released on Platform Records. Impact date is June 10th . Not a band to rest on their laurels, the relentless Dead Sea Souls follow up the well-deserved success of last year’s debut LP, We Were Always Electric, with blistering standalone double A-Side single Brave / The Comet. Released via Platform Records, Brave / The Comet sees Gary Burns (bass & vocals), James Sweeney (guitar), David Clark (drums) and Colin Sneddon (guitar & vocals) build on their upbeat, bouncy and disco-funk indebted power pop sound, resulting in undoubtedly their strongest work yet. “I know bands do this a lot and it sometimes gets met with sighs, but to be totally honest we couldn’t agree on the lead track!” says Gary of the West Lothian quartet’s inspired decision to release a double A-Side. “Originally The Comet was the undisputed single, however, during production, Brave became such a strong track for completely different reasons. Indeed, such is the undeniable star quality of both songs that choosing between the two would only do an injustice to the listening public. 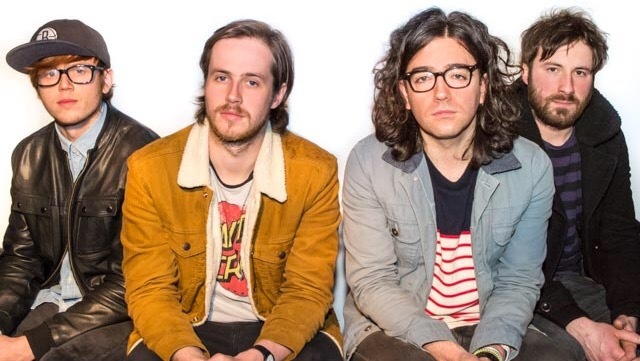 A melodic, feel-good summer tune designed to get festival crowds dancing, The Comet kicks into force with a lilting guitar hook and irresistibly breezy vibe that nods toward both Vampire Weekend and Paul Simon’s Graceland. Meanwhile, Brave provides further depth and substance with its spine-tingling atmospherics, anthemic chord progression, slick guitar solo and Futureheads-esque call-and-response mass chanting. Gary Burns’ unmistakeable and idiosyncratic Scottish-inflected vocals soar majestically across both tracks while his song writing reaches new levels of astuteness with Brave’s uplifting lyrics (Be as bold as you can/There’s no room for a worried man/In this life that you lead) and The Comet’s cautionary tale of a loved one’s unbridled hedonism (You live your life like a comet/Just waiting to crash/Punching holes through my head/Like the crust of the earth). A play on the Dead Sea Scrolls - a collection of ancient Middle Eastern religious texts – Dead Sea Souls are rightfully garnering a lot of attention. With ringing endorsements from the likes of The Sunshine Underground’s Craig Wellington (“Well crafted tunes”) and Scottish new music guru Jim Gellatly (“An amazing live act, they totally blew me away”), not to mention high-profile support slots with Ocean Colour Scene and The View, and an ever-growing US fan base, Dead Sea Souls are very much a band in the ascendancy. The OK Social Club to release debut album 'Nothing in Common' on February 4th 2013. The band have been featured on Soccer AM, Radio One, XFM, MTV ROCKS, Channel 4’s Sunday Brunch, E4 and Hollyoaks. 'The Shape Of Things To Come' was BBC Radio Scotland’s Janice Forsyth show ‘Single Of The Month‘ and Steve Lamacq’s Rebel Playlist Winner on BBC 6 Music, it was also playlisted in TOPSHOP stores worldwide. Following the album's release, The OK Social Club will return to the road for a full scale UK tour and embark on their first European dates. Frontman Raff Eragona says "We had a year that we'll never forget, full of great times and surreal moments, I've got a feeling 2013 will be even better." THE OK SOCIAL CLUB - New Single 'Gezellig' / Edinburgh's Hogmanay! The Ok Social Club are undoubtedly one of Scotland's brightest young bands. Formed in the summer of 2011, the 4-piece draw from a diverse range of influences from 50's girl groups to 70's punk, exhibiting guitar driven foot stomping rhythms and unforgettable hooks. 2012 has seen the release of the band’s first two singles The Shape Of Things To Come and The Late 90’s which have won them praise and exposure via the likes of Soccer AM, BBC Radio Scotland’s Janice Forsyth show ‘Single Of The Month‘, MTV, Channel 4’s Sunday Brunch, Hollyoaks, Steve Lamacq’s Rebel Playlist Winner on BBC 6 Music, and playlisting in Topshop stores worldwide including 10 weeks in the New York store. Their first Scottish tour has included sold out shows in Edinburgh and Glasgow and has helped The OK Social Club build a following all over the country. 2013 is gearing up to be an exciting year for the band, with the release of their debut album Nothing In Common along with a full-scale UK tour. Preceding that, as a further taster for the album a new single 'Gezellig' is released on December 17th, and to round off a highly successful 12 months, the band are to perform at Edinburgh's legendary Hogmanay celebrations. Front-man Raff Eragona says "We're excited to be part of the biggest New Years Eve party in the world, we're very proud to be representing new Scottish music and if everyone's as up for it as we are, it's going to be some night!". New single 'Gezellig' is released December 17th on Platform Records in association with James Watt College label Clydebuilt Records. The Ok Social Club play Edinburgh's Hogmanay on The Waverley Stage from 8pm. Other acts include The Maccabees. A brand new signing to Platform Songs Publishing, DEAD SEA SOULS have quickly become one of the most exciting bands on the Scottish gig scene, having played across the country delivering an energetic and anthemic performance. The band are now set to release their new single ‘Trendsetter’, the second track to be lifted from their debut album ‘We Were Always Electric’, on Big Rock Candy Records. Descending from West Lothian, you could compare their vocal sounds to that of Twin Atlantic, and it’s not hard to hear an influence from The Red Hot Chilli Peppers, with the upbeat guitar a prominent feature of the DSS sound. This mixed with their unique spin, makes for some melodious high-powered tunes. Dead Sea Souls have spent much of the last year perfecting their phenomenal live act, with sell out shows across Scotland. They are currently promoting the single and album with a string of dates - check website for details. The single 'Trendsetter' is released on November 5th 2012. 'The Late 90’s' is the second single from Edinburgh's The OK Social Club, to be released July 9th 2012 on Platform Records. 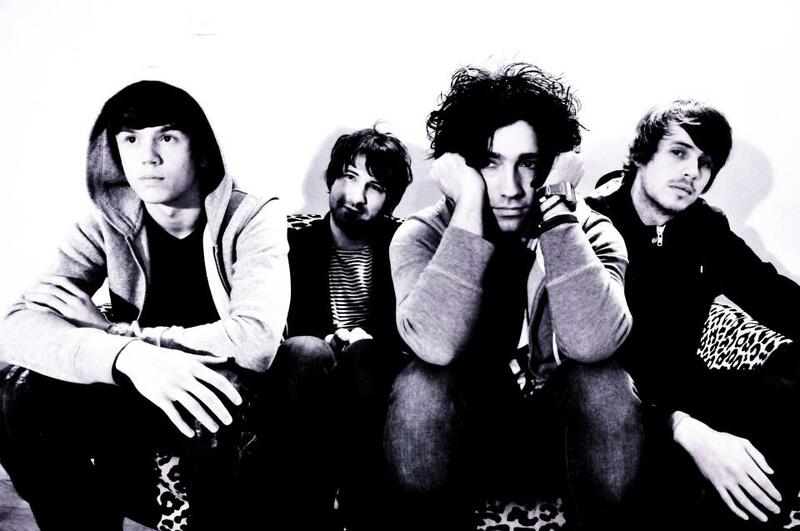 This follows their successful debut 'The Shape of Things to Come', which came out in March 2012. As well as being featured on Sky Sports’ Soccer AM and being chosen as Single of The Month on BBC Scotland’s Janice Forsyth Show, The Shape of Things to Come also won Steve Lamacq’s rebel playlist against The Futureheads and Tribes. The track was also aired on BBC 6 Music, XFM,Q Radio and in Topshop stores throughout the UK. The Daily Record said of the debut single “If they can stay this good they are Scotland’s next big band.” The guys believe that their follow-up single will build on this success and are delighted that people are keen to hear more. Their first Scottish tour has included sold out shows in Edinburgh and Glasgow and has helped The OK Social Club build a following all over the country. Dates are now booked across the UK to coincide with the release of The Late 90’s. 'The Late 90's' is released July 9th 2012, on Platform Records. More than 30 years since 'Twilight Cafe' reached number 21 in the UK charts, Platform Records are delighted to be releasing 'The Demo Collection (1981-1985)', a 20 track album of previously unavailable recordings from Susan Fassbender and Kay Russell. 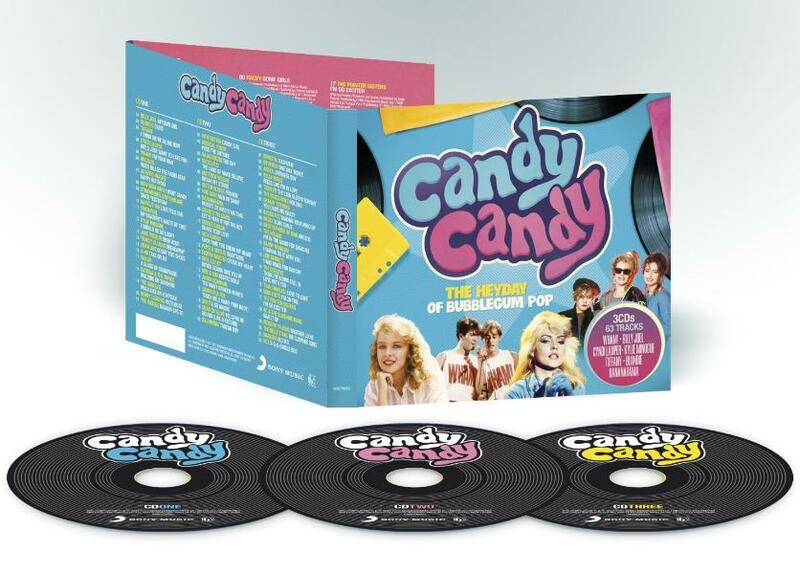 Available at all download stores from April 30th 2012, the collection includes the original demo version of the duo's hit single, as well as several songs which will be familiar to Fassbender/Russell fans, including several of those featured on the second and final of their CBS 7'' singles. Lots of unearthed gems are included too, and the range of styles and impressive arrangements make up a fantastic 70 minutes of music. All tracks mastered from cassette by William at Soundworks Studios, Leeds. Additional mastering, sound processing, track compilation and pack shot design by Ewan McKenzie. Pack shot pencil drawings by Dianima. With grateful thanks to the family of Susan Fassbender, and to Kay Russell. The Shape of Things to Come is the debut single from Edinburgh's The OK Social Club, one of Scotland’s brightest young bands. Drawing from a diverse range of influences from 50's girl groups to 70's punk, The OK Social Club exhibit their writing talents in full throughout the song - it's guitar driven, with a foot stomping rhythm and unforgettable hooks. This catchy and energetic track has radio play written all over it. Backed up by two B-Sides - Twist, Learn, Kick and Scream and Twisted Young Gentlemen, this release is a strong mark in the sand from a band with a confident grasp of their own identity. "it's all about the melody - we're a pop band at the end of the day", says the band's charismatic front-man Raff. When asked why they chose The Shape Of Things To Come as their debut single, he added, "it's a good representation of what we're about, it's a new song with bags of energy and an indicator of what's to come." The band will be celebrating the launch of their first single with a gig on 24th March at Electric Circus in Edinburgh, followed by a UK tour in April. Guitarist Chris Finn says "It's been great fun recording these songs, but I've missed playing live, I can't wait to play in front of people again. Our first demos were played on local and national radio shows which led to us gigging up and down the country, hopefully this single will help us build on that."